She returned to a reverie of all that happened that day. 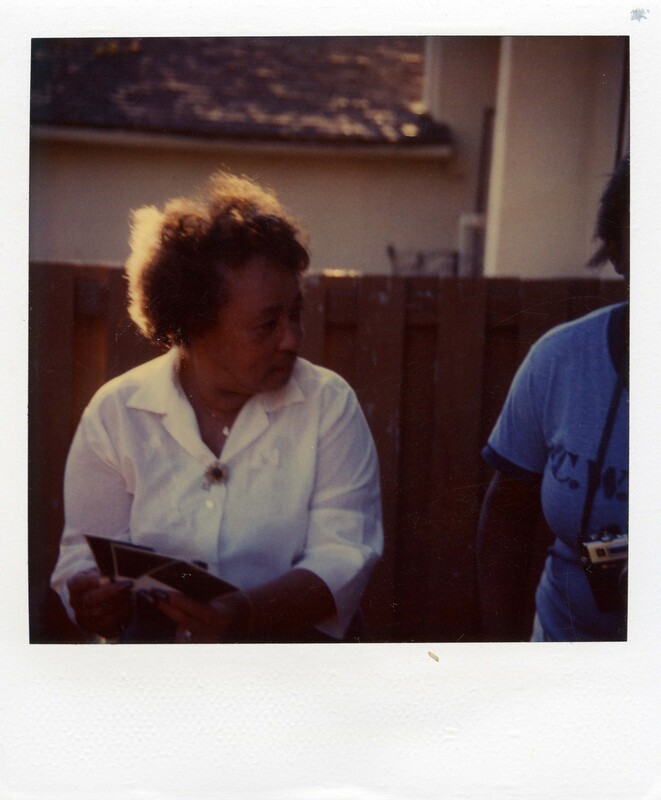 Proof within the polaroids in her hands of every family member finally together again. They had sent for the grandchildren first to help her and her husband with the restaurant, and then their own children. And after a span of three years, with the arrival of her eldest son, they were finally all together again. The restaurant flourished. A cuisine fresh and new to the tongues of the American people. A neighborhood welcoming to the kindness and generosity she and her husband shared. Each ounce and every essence of their love of family, and of food, extended to friends old and new who walked through their doors. Her eldest daughter requested the photo to be captured. All together, standing, squatting, sitting, smiling – at least, she thought she had smiled. The picture before her would claim otherwise. Her husband’s arm around her, his other hand on their eldest son’s shoulder, and her own hand clasped to her eldest daughter’s. Eyes closed, with relieving tears caught by the camera. Together again, at last. If only they were back to that day. These pictures hung on the walls of the restaurant, and how often she would walk by them day after day. She can’t recall the last time she stopped to remember and return to that day. But today, with the closing of the restaurant, and these pictures before her again in the backyard of her home, she looks at her children all together again. And her grandchildren, and with them, some of their own children.